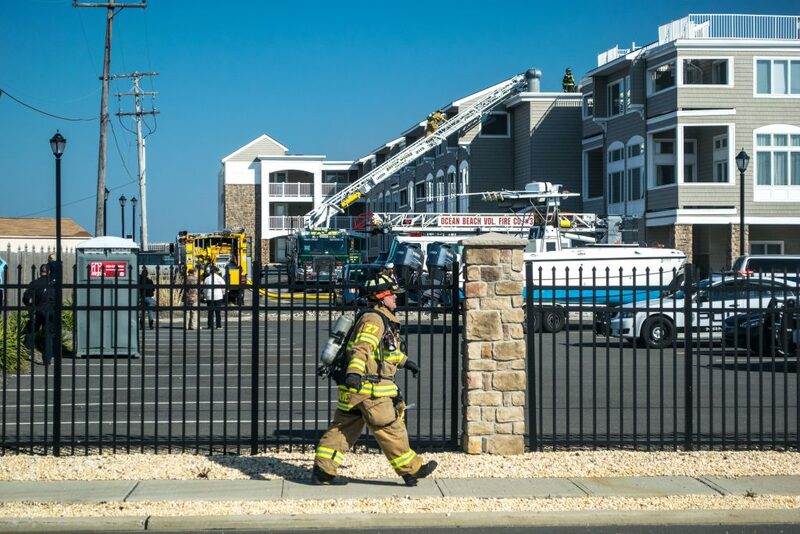 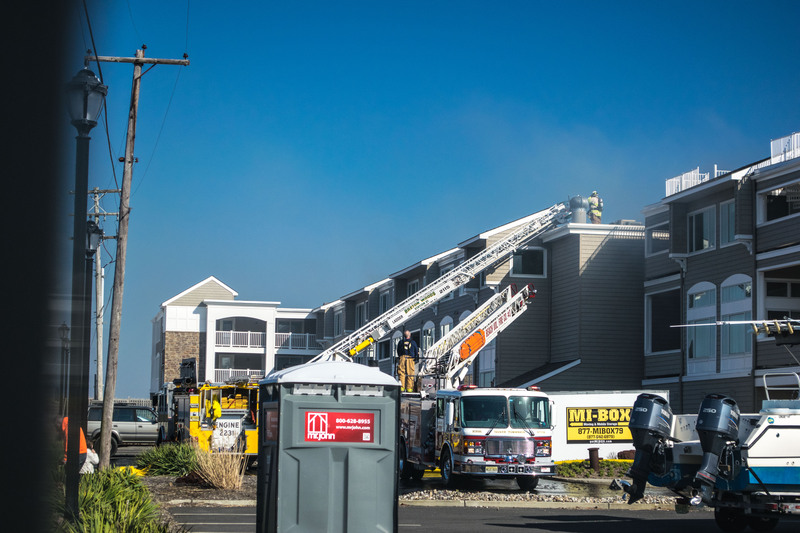 Fire companies from Brick and surrounding towns have been on the scene of a fire at the Ocean Club condominium complex (formerly known as the Thunderbird) on Route 35 in Brick. 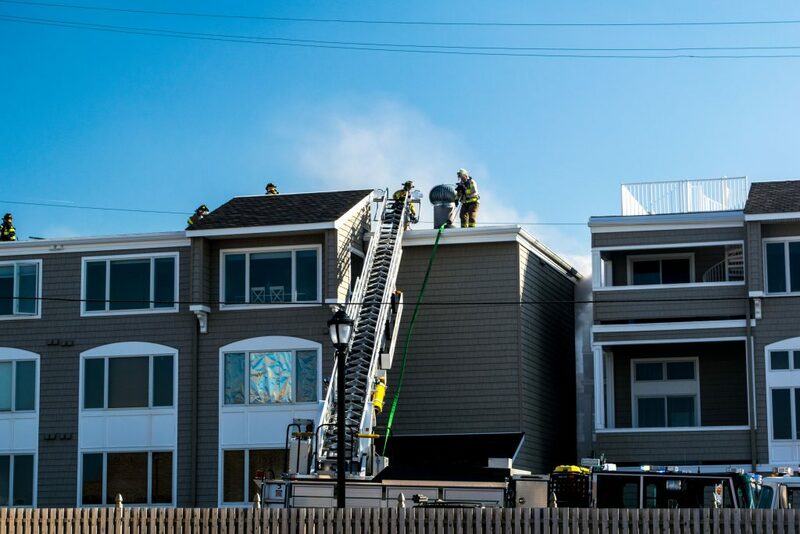 Flames could be seen emanating from a courtyard in the building’s mid-section, and firefighters were focusing their efforts on the third floor. At one point, a team of firefighters took a saw and cut through the roof as plumes of smoke billowed past. 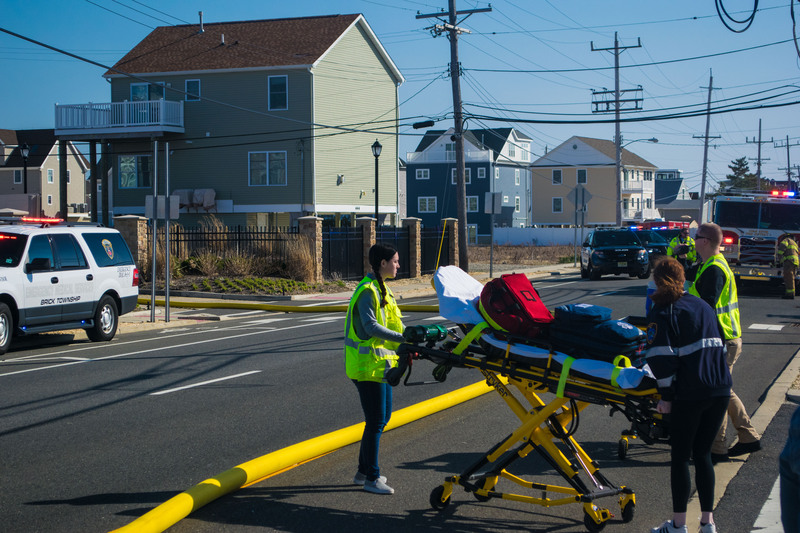 Several ambulances were also on scene and one person was being carried on a stretcher. It was not immediately known if any residents were in the building, though a group of residents were keeping watch in the parking lot of Brick Beach III, which neighbors the building to the north. 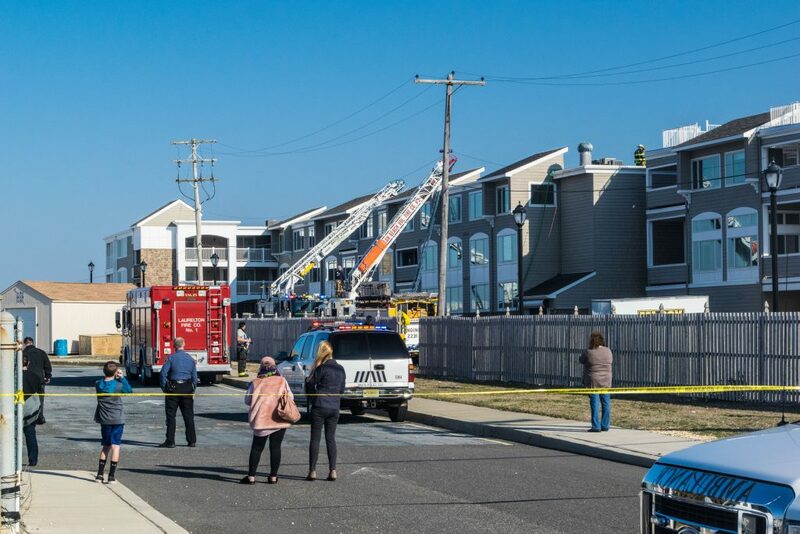 Radio chatter monitored by Shorebeat indicated that the fire was considered a “four-alarm” blaze. 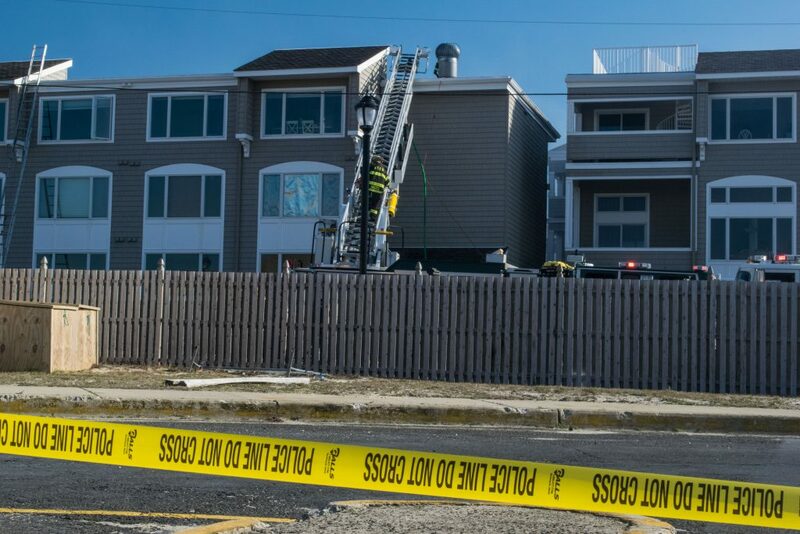 Firefighters from multiple Brick fire companies as well as Ocean Beach Fire Company, Mantoloking and Point Pleasant Borough fire companies were at the scene. 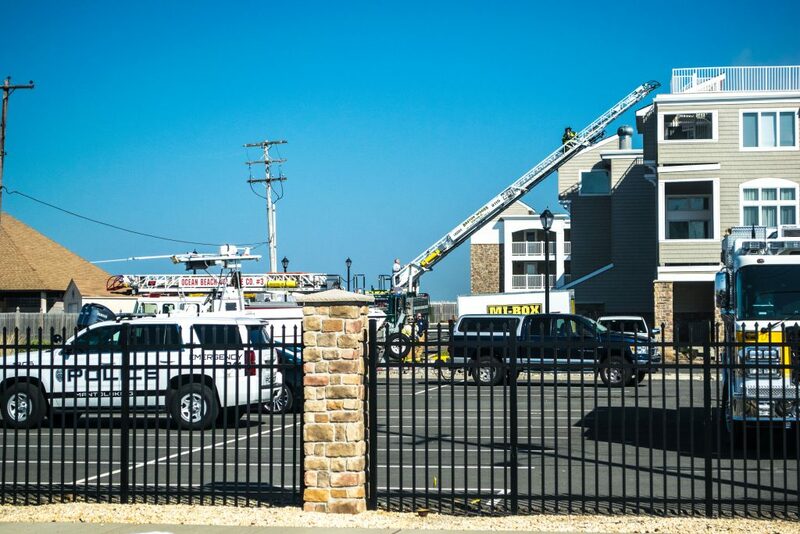 Several ladders were being used at the site, primarily by the Breton Woods fire company (Brick) and Ocean Beach fire company (Toms River). 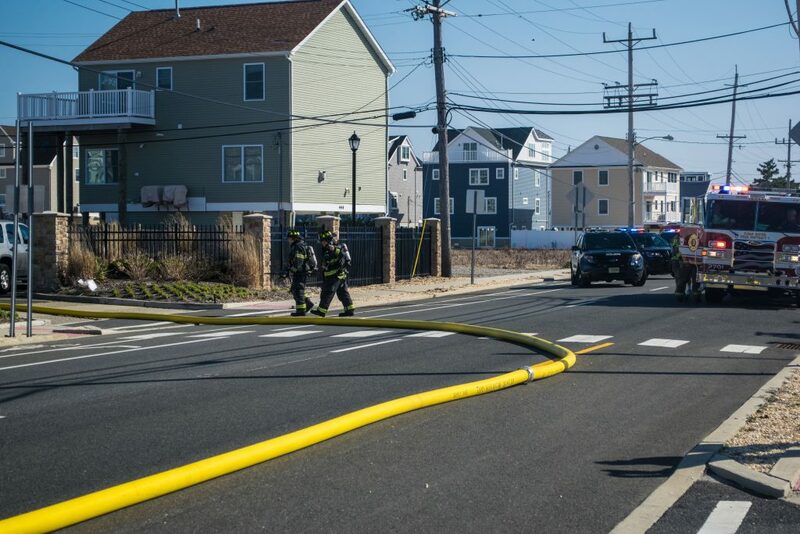 Crews from JCP&L as well as New Jersey Natural Gas were present as well. A JCP&L worker was seen cutting off power from a utility pole. Officials on the scene could not immediately identify a cause.